Jevon was diagnosed with leukemia after persistent swollen glands revealed an underlying cancer diagnosis in 2014. With his single mom, Janet, by his side, 12-year-old Jevon set out on the road to recovery. Jevon’s lengthy and frequent hospitalizations at Tufts Floating Hospital for Children placed a huge burden on Janet’s shoulders. With three children and a grandchild to care for, she quickly became overwhelmed as she struggled to keep up with her everyday expenses in addition to the costs of a cancer diagnosis. Janet worked two jobs to keep up with the mounting bills. As she split her time between the hospital, home and work, the emotional stress and guilt of being unable to keep up with the needs of her family started to consume her. 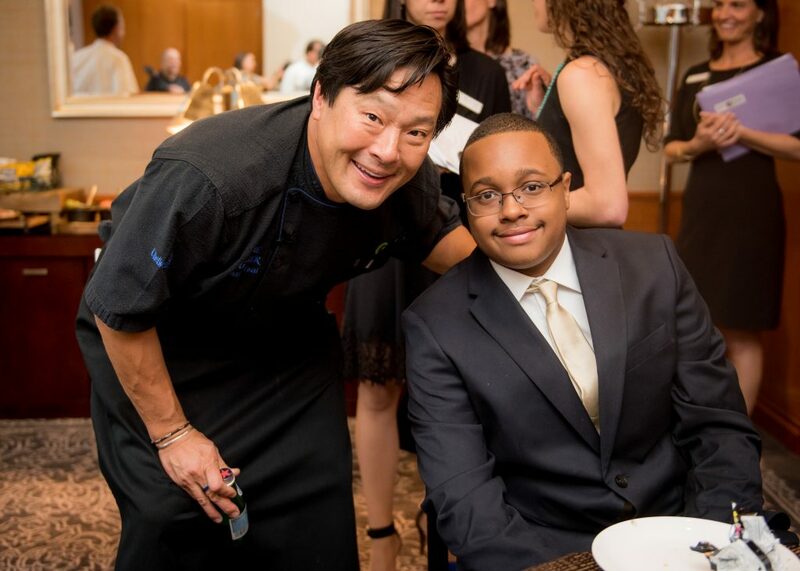 Jevon joined Ming Tsai at our recent Cooking Live! Boston event. Family Reach helped cover the family’s utility and phone bills. This significantly eased Janet’s worry and allowed her to keep up with her other household responsibilities – like the mortgage payment – as well as Jevon’s out-of-pocket medical costs. Jevon is now in remission and thriving as a high school freshman! He pours his energy into martial arts, boxing and the occasional video game. Janet has been able to regain her footing and is enjoying the time she can spend at home – not the hospital – with her children. “Family Reach is the bridge that takes you away from a place of financial struggle. Through their support, you can fully focus on your child’s treatment,” said Janet. Click here to join our monthly giving community and help families like Jevon’s.